The ring is made of food-proven synthetic, which has the safety approval of the EEC and the FDA. It is available in standard and individual sizes. 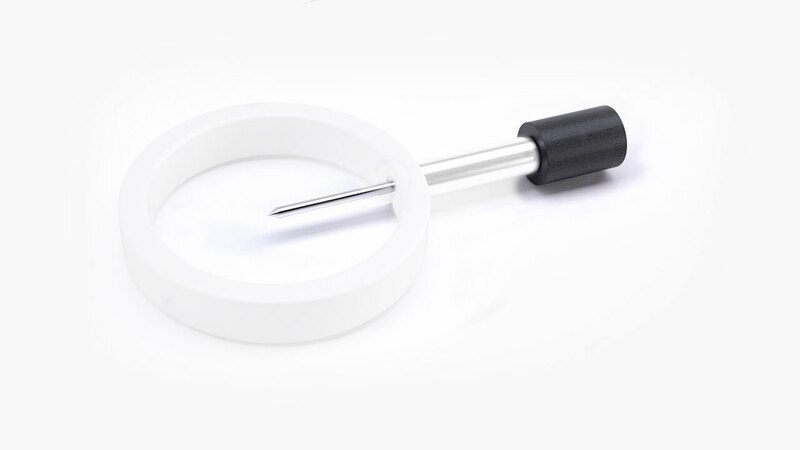 The stainless steel sleeve is the connecting element between ring and PT100. It is precisely adapted to the existing PT100 in length and cavity. Due to the material used, metal detectors strike as a safety factor when the ring is lost during the manufacturing process. The temperature sensor is usually present in your company. You can continue to use it without hesitation, because we adapt our product to you, not vice versa. The ring consists of food-proven material with a firmly anchored stainless steel sheath. 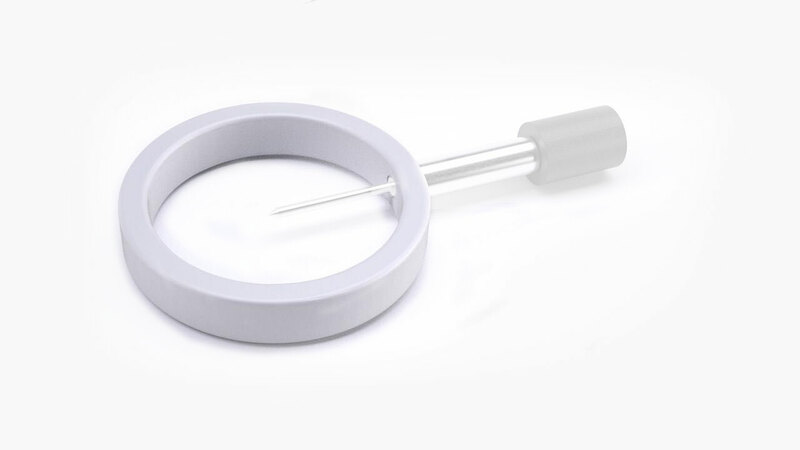 This stainless-steel sleeve is adapted to the temperature probe (PT100) used in your house. This has to happen in both ways: in length to meet the perfect center of the ring / as well as in the cavity diameter to prevent a play of the PT100. The synthetic of the ring absorbs up to 5% of liquid, whereby the ring expands slightly and tightens it around the product. During the cooling process, this moisture will be released again, so that the ring can easily be removed and re-attached to the next product. As a result of this the cooling phases can also be recorded on. On the other hand, during each transport the ring is fixed on trolleys and cannot slide off accordingly. We manufacture standard calibres of the products, for example 75/90/105/120/180,mm in diameter in series to keep the costs low and to pass the saving on to you. Of course, special designs are also possible at any time and most welcome. Safety aspects and food purity are always respected. The ring is food safe and harmless according to EEC and FDA. 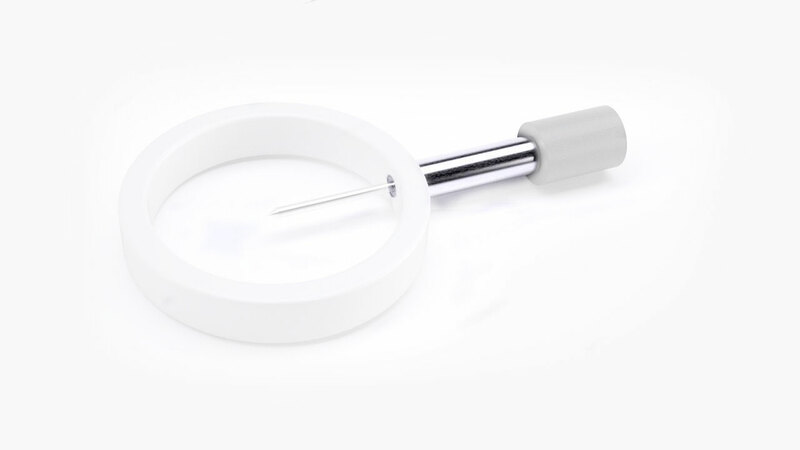 The stainless-steel sleeve will be detected by metal detectors, if the ring slides down from the product. Save time and energy and be ready for regulatory validation requirements.